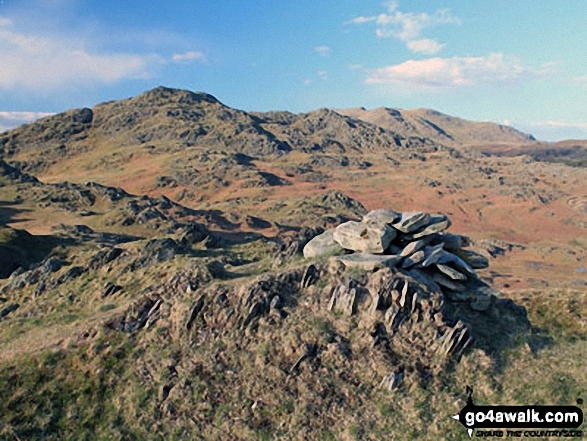 A go4awalk.com Peak Bagging Map & Hill Tick List featuring Raven's Crag (Stickle Pike) will be available soon. - Broughton Mills, River Lickle, Green Bank Farm, The Nursery, Hovel Knott, Dunnerdale Fell (Broughton Mills), Great Stickle (Dunnerdale Fells), Stickle Pike (Dunnerdale Fells), Kiln Bank Cross, Park Head Road, Stainton Ground Quarry, Stephenson Haw, Raven's Crag (Stickle Pike), The Knott (Dunnerdale Fells), Broughton Mills. If you LOG ON and then RELOAD this page it will display when you climbed, bagged and conquered Raven's Crag (Stickle Pike), what the weather was like, who you went with and any other comments you might like to add to remind you of that fantastic day. For more details see Your Personal Mountain, Top, Peak and Hill Bagging Record. Christine Shepherd climbed Raven's Crag (Stickle Pike) on March 11th, 2017 [from/via/route] Walked from Broughton Mills using walk c217. [with] On my own [weather] Drizzly with a thick mist. - No views today. 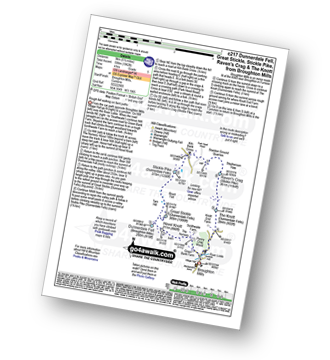 David Lord summited Raven's Crag (Stickle Pike) on June 20th, 2013 [from/via/route] Community car park at Broughton Mills. Done as part of a horseshoe including Great Pike and Stickle Pike. [with] My wife Debbie. [weather] Lovely sunny day that clouded over as the walk progressed. - Compared to Great and Stickle Pikes the Crag was more of a slog than a pleasure but it was better than returning to Broughton on the narrow single track road.